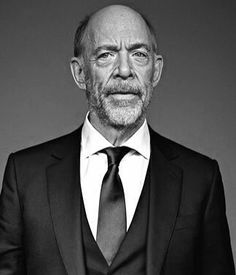 The new DC film universe has found their new Gotham City police commissioner Gordon and it will be none other than J. Jonah Jameson himself, J.K. Simmons. He will make his first appearance in 'Justice League Part One,' directed by Zack Snyder, along side Batman (Ben Affleck), Superman (Henry Cavill), Wonder Woman (Gal Gadot), Aquaman (Jason Momoa), the Flash (Ezra Miller) and Cyborg (Ray Fisher) as they team up to combat a threat beyond each member's capabilities. It is a little sad as he will be not be reprising his role as triple J for the Marvel universe, I hope pictures of Batman are worth it.